The Falcon Attack Glider was copied by Cobra to make the Viper Attack Glider. We all know that Cobra is a ruthless terrorist organization determined to rule the world, but what may not be so obvious is that they do it by stealing the intellectual property of their most frequent adversary. That’s right, Cobra is worse than China when it comes to copyright infringement. It started pretty early for Cobra, too. Back in 1983, for example, the Cobra organization made a carbon copy of the Falcon, the G.I. Joe Attack Glider. 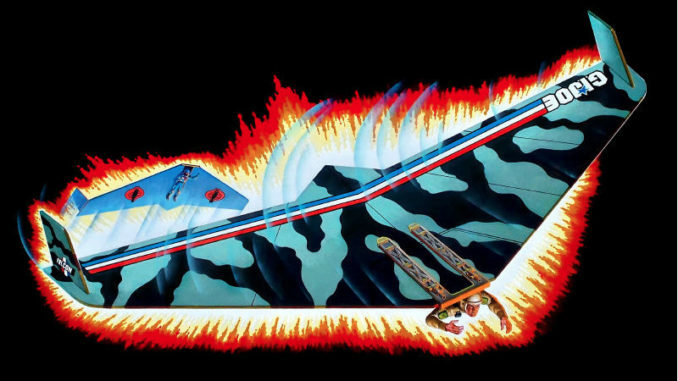 Their version was named the Cobra Viper Attack Glider. Later on, they copied the Vamp, the Skyhawk, the MOBAT, the Skystriker, the SHARC and many others. Why Are There So Many Duplicate Vehicles? From a toy-creation standpoint, that answer is easy. The reason there are so many Cobra versions of G.I. Joe vehicles is that Hasbro was simply trying to save money. They reused the molds, changed the colors and ta-daaa! there’s a new Cobra vehicle ready for the toyline. This cost-saving measure can sometimes be a little overdone. For example, the SHARC was remade into the Night Shade, the Sky SHARC, the Wave Crusher, the Night Specter, the Sharc Tooth and the Polar Sharc. Yep, there are seven versions of the SHARC out there! That is good and bad. On the plus side, it makes it easy for kids to build up a fleet, it makes it easy for collectors to find them and it quickly makes a vehicle iconic, too. On the bad side, it can be a case of “oh, it’s just another SHARC.” When variety is what you’re after, re-using the same design gets a little tiresome. How Does Cobra Make Duplicate Vehicles? Is Destro to blame for all the copycat vehicles that Cobra uses against G.I. Joe? Within the context of the G.I. Joe universe, it makes perfect sense for Cobra to swipe from its rivals. In our minds, it can happen one of three ways. First, Cobra may have an inside source with G.I. Joe’s weapon suppliers. That source leaks the plans to Cobra and they make their own. The second opportunity for copy-catting is that Cobra forces may occasionally capture a G.I. Joe vehicle. When that happens, they sneak it back to Cobra HQ and reverse engineer it to make their own version. We, for one, would like to see a Cobra scientist/cavalry character who’s sole role is technology acquisition. 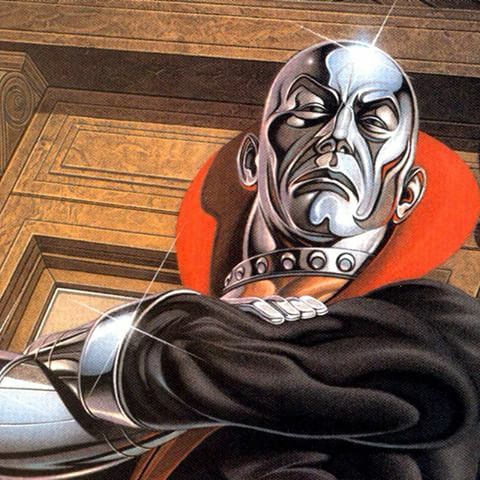 He or she could be one of Destro’s subordinates, but it’s not a role that should be filled by Destro himself. He’s busy enough on his own. Is that a Cobra copy of the G.I. Joe’s Persuader? Nope, it’s a Night Force “repaint” by G.I. Joe to give a new look to one of its own vehicles. The new colors, which mirror some Cobra color schemes, really improve the look of the tank. Sometimes it takes a second try — or a specialty subteam — to get things right! The third possibility is that Cobra and G.I. Joe have the same vehicle supplier. Like many arms companies, this supplier may offer a vehicle to G.I. Joe exclusively for a year or two and then allow Cobra to purchase it after that. In the G.I. Joe universe, there’s really only one well known weapons manufacturer — MARS, a company owned by Destro. Is he playing both sides? It certainly would make sense. 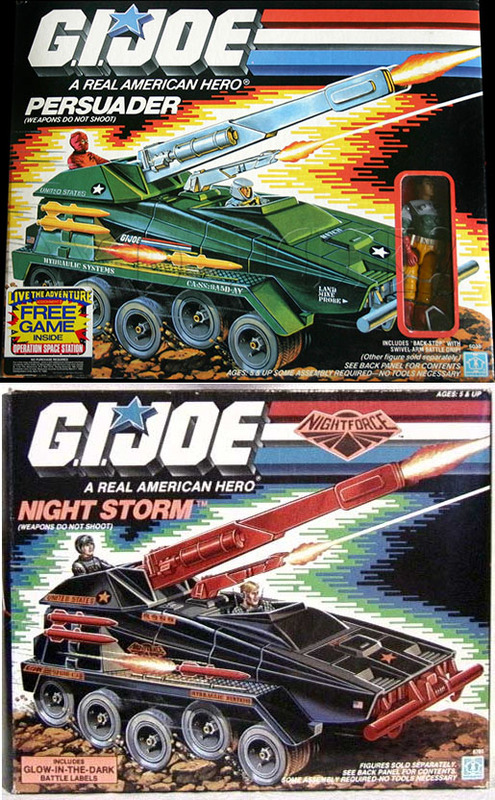 Which is Better the Cobra Version or the Joe Version? For the most part, the Joe version of a vehicle is generally considered the superior. After all, the Joes would certainly have safety on their mind when building a vehicle. They would naturally aim to protect their troopers and create an amazing piece of equipment in the process. Cobra, however, isn’t so worried about such issues. They are, by and large, a fast-attack force that hits hard and tries to quickly overwhelm their enemies. Long-term viability is never a real concern. With that in mind, you can expect their equipment to be shoddy and glitchy. But which of them looks better? Well, it’s hard not to appreciate Cobra’s color scheme! Just look at the difference between the Conquest and the Python Patrol Conquest. The Python Patrol looks a hundred times cooler. But which would we willingly fly in? We’ll side with the Real American Heroes.